2. Value of property is already increasing as Mexico's first cruise ship home port is being built. NOVEMBER 2015 UPDATE...SALES ARE UP, INVENTORY IS DOWN, VERY FEW "TERMS" LISTINGS AVAILABLE. We see the MLS daily, it's picking up speed FAST, bank foreclosed condos being purchased, moving into a seller's market. 10. Convenience of Sam's Club and Bodega Aurrera (Wal-Mart), Auto Zone, Domino's Pizza, Burger King, Fine Dining, Thrifty Ice Cream, Sushi, Chinese, etc. There’s really many more reasons to vacation or live in Rocky Point. Remember those that didn't buy at the last "boom"? They used to say "I wish I bought then". There's still another window of opportunity. 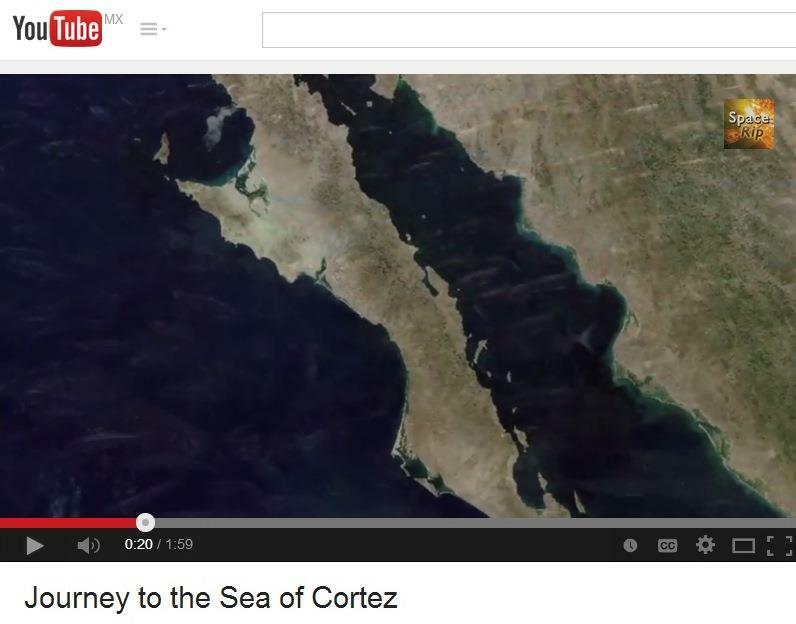 Jacques Cousteau visited the area and named the Sea of Cortez “The World’s Aquarium”. Puerto Peñasco is also known as Rocky Point. It is only a one hour drive to the Arizona-Mexico border. The Arizona border town is Lukeville which has a U.S. Post Office, gas station, grocery store, duty free store, a business office that notarizes documents and accepts Fed X and UPS deliveries. This is very convenient for those living and retired in Rocky Point that want to order items online, or even make a “run to the border” for a couple bottles of a favorite beverage, it is THAT convenient. Or you could use the local mail service that can pick up mail and packages for you. Most people that live in Rocky Point have everything they need and don’t need to run to the border or further North to Phoenix or South to Tucson, which is another 2 hour drive or so, depending where you are headed. Rocky Point has seen much development such as Sam’s Club and an Aurrera Bodega, which is a division of Wal-Mart. There is a new Auto Zone, Little Caesar's Pizza, a new Sandy Beach convention Center, a new Sandy Beach Urgent care center, and as of this time, the plans are under way for the construction of Mexico’s first cruise ship home port. The most recent excitement was the arrival and departure flights by AeroMexico in and out of the “Mar de Cortez International Airport”. The brand new airport has been completed and is about 15 miles from the main highway, and is located near the Mayan Palace. There is a rental car company available which also permits vehicles to enter into the U.S. This new route is between Rocky Point, Hermosillo, the capital of our state of Sonora, and Las Vegas Nevada. Rocky Point has been known as “Arizona’s Beach” for many years, now with the flights connecting to Las Vegas we are getting to be known as “Nevada’s Beach” too. Rocky Point has seen its share of fluctuations in real estate prices. As any other real estate market in the U.S., Rocky Point is no different. It experiences highs and lows, mostly tied to tourism. Although several sources (media, blogs etc.) have painted Rocky Point with a broad stroke, generally saying all of Mexico is dangerous. Not true. Think about this. If you hear of a crime in Chicago, do you feel it is necessary to cancel your trip to San Diego? Sounds silly doesn’t it? Every expat that lives in Mexico is going to agree with this. Why would they choose to live in a dangerous place? There are MANY areas in Mexico, just like the U.S., that are safe and full of retirees and expats and even non retirees that are still working. Another huge benefit for retiring in Mexico, retirement funds go further due to cost of housing, low taxes, low cost of food, and for Rocky Point especially, FRESH SHRIMP and seafood! For example, in the U.S. a pound of shrimp (will be frozen) is about $15, in Rocky Point, during shrimp season, it will be fresh and about $5 to $6 per pound. Baby Boomers are heading to other countries, for areas where their money goes further, active senior living centers, assisted living, and for the big new game, “Medical Tourism” where people travel to other countries for quality low cost healthcare, surgeries and treatment. Rocky Point is very convenient for this medical healthcare market and is preparing. Just look around, there seems to be a pharmacy on almost every corner! Retirees are enjoying the fresh air, no smog, and having the grandkids come to the beach and experience looking for sea creatures together in tide pools, or even visiting the museum and the local aquarium, where they can feed the sea lions and turtles. There is plenty more to do like snorkeling, pirate boat rides, scuba, metal detecting on the beach, swimming, bird island boat tours, enjoying great restaurants and taco stands, even the new salsa dancing lessons that recently started! Rocky Point, like other areas, has had its challenges, but like other markets, it is coming back. The real estate prices had risen, then dropped, now the prices are starting to increase as the inventory decreases, as it turns back into a seller’s market. It is interesting to note that the new airport, new coastal highway, Sam’s Club, Wal-Mart, the Sandy Beach convention center and urgent care center, have all been built during the lean times. Rocky Point-Puerto Peñasco is getting itself ready! Will you?